Da Lat charms you not only due to the romantic walk from the church to the market, but also due to the fresh, cool air unlike any other places in Vietnam. Da Lat also impresses tourists deeply with the city’s eating out scenery. While the aroma of street foods at the Da Lat night market might entice you to spend your evening there, not every tourist wants to do that. Some of them might want to save their appetite for some best Da Lat restaurants. The choice of decent eateries in Da Lat might be limited compared to other popular Vietnam tourist destinations. However, don’t worry because this article will help you find out some of the best Da Lat restaurants. Therefore, when visiting Da Lat, you will know where to eat and drink in this city for the best experience. This intimate restaurant is a little out of the city’ centre, and among one of the most well-known Da Lat restaurants, which is run by a very hospitable team. In this restaurant, the menu has been creatively designed. Really, this restaurant offers delicious and fresh foods that make sure tourists will come back whenever coming here. Trong Dong restaurant also has a wonderful view with nice decoration. The décor seems austere; nevertheless, the restaurant is so clean. You can order and try authentic and great tasting foods. Nam Phan restaurant is situated amid a beautiful garden within a tastefully restored French villa. The outside of this restaurant is so impressive at the first sight while the inside is well-decorated. Moreover, it has a balcony with such an amazing view of lake. The staff members of the restaurant are famous for polite, attentive, and professional manner. However, the food price is a little bit high for Vietnamese standard, yet the atmosphere is really worth enjoying for lunch or dinner. When it comes to best Da Lat restaurants that are worth visiting, Long Hoa restaurant is a famous place. 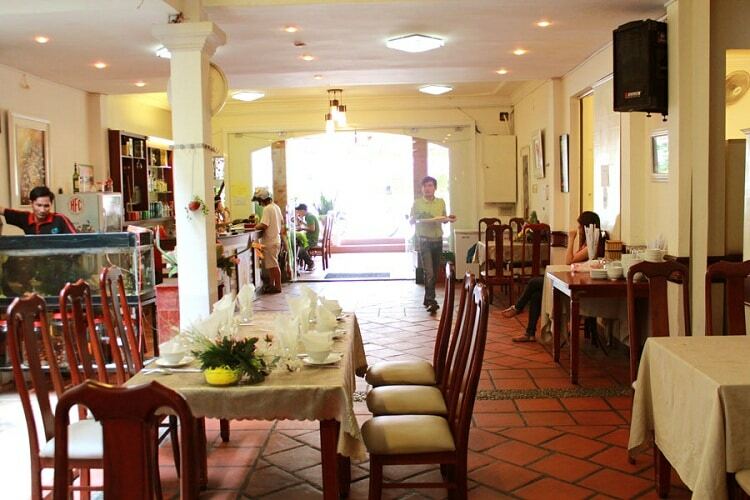 Situated at Da Lat’s center, Long Hoa restaurant is the best place for tourist to have both lunch and dinner here. With an extensive menu of both Vietnamese and Western dishes, this restaurant will offer you tasty food. The manager and staffs are friendly and they could speak English well. Da Lat’s weather is rather cold, so tasting great food in a peaceful and cozy place sounds really marvelous. Though this is not a totally fancy restaurant, it is very clean and welcoming, particularly for families. Situated inside the Da Lat Palace Luxury Hotel and Gold Club, Le Rabelais is located in a lovely building with wonderful views. Most customers are pleasured with the restaurant, from its ambiance to live piano performance. In this restaurant, the staffs are very good at speaking English, so tourists can enjoy excellent service from staffs here. In terms of food quality, it is good, well-presented and delicious. In fact, this restaurant is recommended as a truly-old world charm. 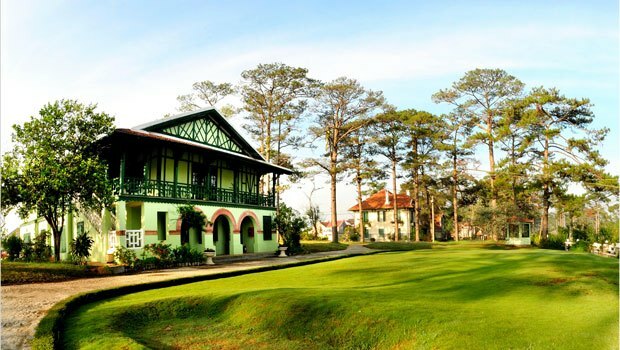 Also being a part of the Da Lat Palace Luxury Hotel and Gold Club complex, the Café de la Poste is set in beautifully restored colonial mansion with great surrounding gardens and views. Inside, there is plenty of colonial charm: from wooden booths with padded seats to the stained glass art-nouveau windows, chandelier, a grand bar, and black and white pictures. The food served in this restaurant is French or Asian, tastily cooked and served beautifully with great style. Besides, the staff is very friendly and attentive. This brings tourists the enjoyable and peaceful feeling. This is really a perfect and ideal place in regard to Da Lat restaurants that you should not miss when visiting Da Lat. Keep reading this list to discover more great Da Lat restaurants to enjoy! This local restaurant has been built for more than 3 years so far, and does a great job of serving clean and good local fare. This casual new place with attractive bamboo furnishing is owned by a welcoming Hanoi couple. These owners are very friendly and sweet and are really good with service. Here, you have many dining options, such as lunch, dinner, breakfast, late night, and reservations. Some of the most delicious dishes here are coconut curry, hotpots, clay pots, stir friends and noodles. This is a quite small street-side restaurant, which is always busy in the morning. This restaurant is well-known for its beef Pho (Phở) with donut served for breakfast. In addition, in Pho Hieu, you will be able to enjoy Da Lat yoghurt for desserts. The staffs here speak English rather well. If you come to this restaurant on weekends, it is quite busy as there are a lot of families coming for a family meal. Da Quy is a French-style restaurant in among impressive Da Lat restaurants that has been received a lot of good feedbacks. This is a small gem featuring Vietnamese cuisine in a cool setup. It is popular to many tourists for the excellent services and beautiful spot. This restaurant is near Bao Dai (Bảo Đại) Summer Palace, Xuan Huong Lake (Hồ Xuân Hương), and Da Lat Flower Gardens. Here you can order foods variously, from breakfast, lunch to dessert and dinner. Some of the most popular items are, for instance, shrimp cooked with chili and tamarind sauce, Vietnamese hotpot (with your choice of meat) and delicious spring rolls. Also, Da Quy serves local wine, which will go well with the food. The name of the restaurant itself – News And New Art Café – speaks all. All of things in this restaurant is too artful, even the toilet. The food takes a little time to well prepare but it is really worth the wait. The waiters and waitresses here are so kind and smile a lot. Going to this restaurant for dinner, you will be surprised to see how quite it is. According to many customers, they enjoyed one of the nicest meals at here. This is a famous place among travelers to Da Lat mainly due to its convenient location adjoining the Peace Hotel and next to the very popular restaurant called Art Café. This restaurant itself may lack a fancy interior yet it offers great homemade Vietnamese food at reasonable prices. In reality, it is a hang out place for the local Easy Riders guys – the ones offering motorcycle tours in the neighboring countryside. Also known as Bluewater Restaurant, Thanh Thuy Restaurant is one of the most famous and beautiful Da Lat restaurants, which is situated on the bank of Xuan Huong Lake. The Thanh Thuy restaurant is a favorite location of many tourists mainly due to its great food, widely ranging from Vietnamese to Western and Chinese dishes. Customers can enjoy their meal while sightseeing Xuan Huong Lake. Some dishes served here could be expensive but in general, the prices of the foods in menu are reasonable. What makes this restaurant impressive is that it is easily recognized at night with unique purple color covering itself and sparkling light around. Do not leave your desk before you read 5 left highly recommended Da Lat restaurants below! When it comes to best Da Lat restaurants, Ngoc Hai Restaurant is an excellent option. This restaurant is air-conditioned, clean and quiet. It provides customers with various menu and professional, friendly staffs. In addition, the dishes served here are very delicious and great. More specifically, each table of the restaurant has candles and fresh flowers. While enjoying the food here, you also enjoy the soothing music medley. The staffs wear dress uniforms and are very friendly. This is truly a great option for those tourists who want to experience professional services and have great tasty dishes at the same time. This restaurant serves hearty highland meals on clean tartan tablecloths. You can enjoy sumptuous hotpots, seafood, and grilled meats or steamed crab in beer here. Nhat Ly is a restaurant drawing plenty of locals and tourists, so it is a good option among good Da Lat restaurants you can consider when visiting Da Lat. This is a pizzeria restaurant, which is painted in kooky pastels with a classic motorbike placed in its centerpiece. HNL is a cosy restaurant which serves interesting and tasty Vietnamese dishes – along with pizza. If you want to entertain a little bit after dinner, there is a karaoke lounge upstairs. It is not challenging to those vegetarian tourists when visiting Da lat because here they can fine a lot of great restaurants to dine. One of those restaurants is Au Lac. This restaurant offers a variety of vegan foods with perfect quality. Furthermore, the prices here are affordable for domestic tourists. Customers can choose food from the English menu supplied by the waiters or waitresses, or buffet table with up to 30 delicious dishes. Song May restaurant is the arty combination between wonderful natural views of Highland area with the traditional Ruong-house (Nhà Rường) architecture. Each corner of the restaurant will offer guests different feelings. There are 2 floors in this restaurant. When coming to Song May, guests will be able to enjoy tasty, well-presented dishes of Vietnamese cuisine. The staffs of Song May restaurant are very friendly and professional that will satisfy all guests coming here. Food in Da Lat is very surprising, particularly for international tourists. The town is in the highlands is home to a lot of ethnic minority Vietnamese. If street foods are one of the most enjoyable items for tourists when visiting Da Lat, foods in Da Lat restaurants are also various and delicious, from traditional Vietnamese cuisine, vegetarian foods to Westerns dishes. If you find yourself in Da Lat in the near future, these are 17 best Da Lat restaurants that you should not miss grabbing a bite at. 15 interesting Da Lat activities – what to do in Da Lat? Da Lat nightlife – what to do at night in Da Lat? Vietnamese Street Style Snails – What & Where To Enjoy In Hanoi?